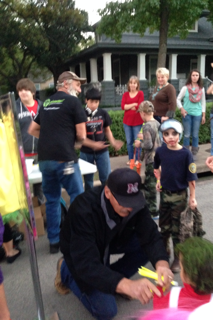 For this outreach you just need to find a neighborhood that is extremely popular for kids and families to go trick or treating in. About 30 minutes before sunset, Take about 6 people per team, Grab a few tables, a couple signs that say Free Glow Sticks, a ton of outreach cards, anywhere from 300-2,000 glow sticks, and get ready to be swamped. 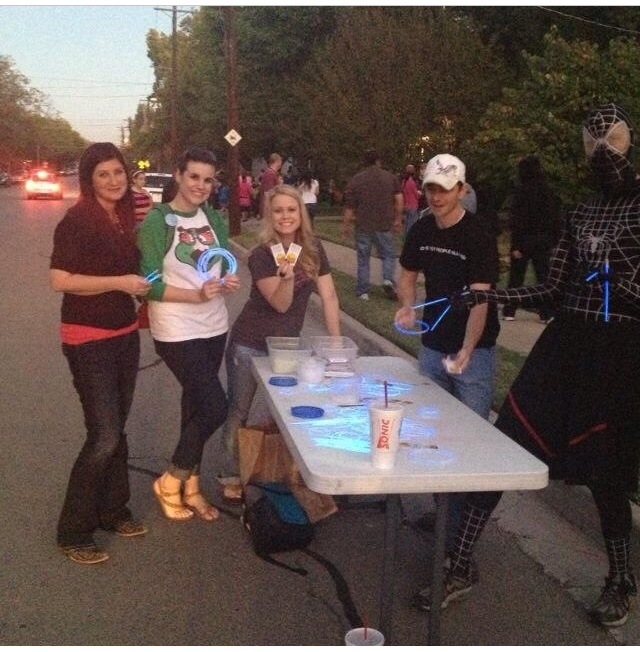 Kids and families will start flocking to your Free Glow Stick tables. We buy all of the same color glow sticks (bright yellow) and coach our teams to simply say to families, “Would you like a free glow bracelet or free glow necklace”. We have found out that it is cheaper to just buy all glow bracelets and if they want a necklace we just connect two bracelets together to make a glow necklace. Parents have come up to our teams during the outreaches and thanked us because when it gets dark, the glow necklaces help them keep track of their kids. 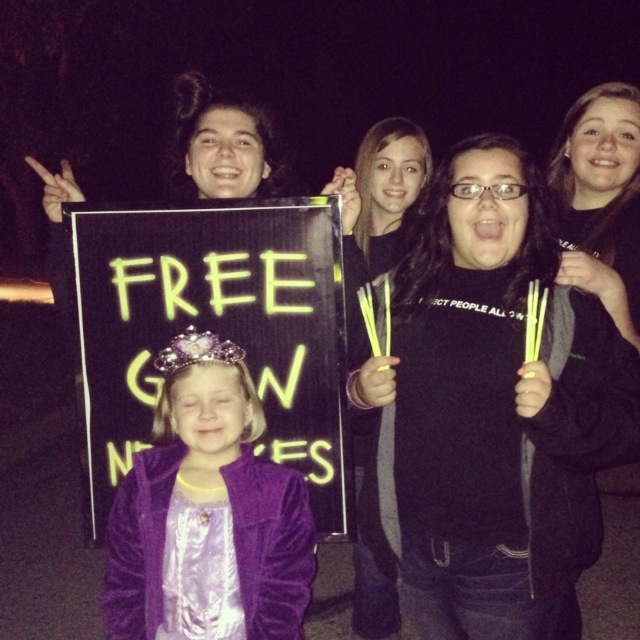 On other outreaches people have asked our teams if we are the “Free Glow Stick Church”. It can be very easy to reach 1000’s of people in just 2 hours through this outreach and it has become one of the favorites of many churches and a way to identify that your church is committed to serving others in simple, yet practical ways. 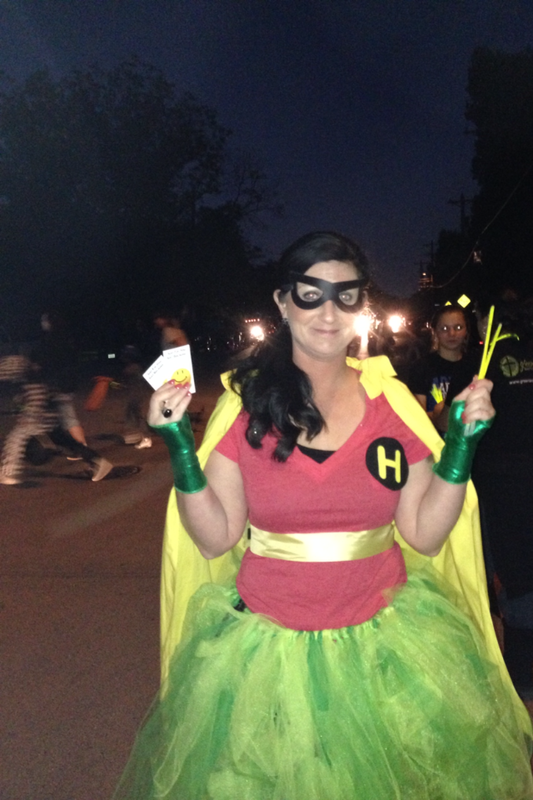 A fun way to reach people that are giving out candy on halloween night is to do what we call a Reverse Trick or Treat. The idea is to go to a neighborhood that there are a lot of houses giving out halloween candy, knock on doors, and instead of receiving candy, give something away to the people in the home instead. We used to go home to home giving out dum dum suckers as our reverse trick or treat; however, we quickly realized that it is better to go door to door with something different than candy since they have an abundance of that. So now we coach teams to go door to door giving away popcorn packets and free red box promo codes glue dotted on the pop corn packets so those that we are serving can get a free red box movie on us. (see pic below.) We coach our teams to thank them for giving out candy to the community and ask if we can say a quick 10 second pray for them. 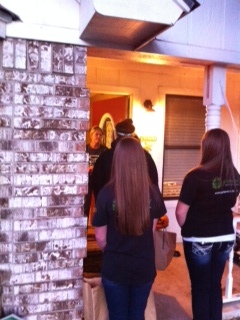 God has allowed our teams to say prayers about everything from lost dogs to cancer right at the door step of the homes of the people we are serving. 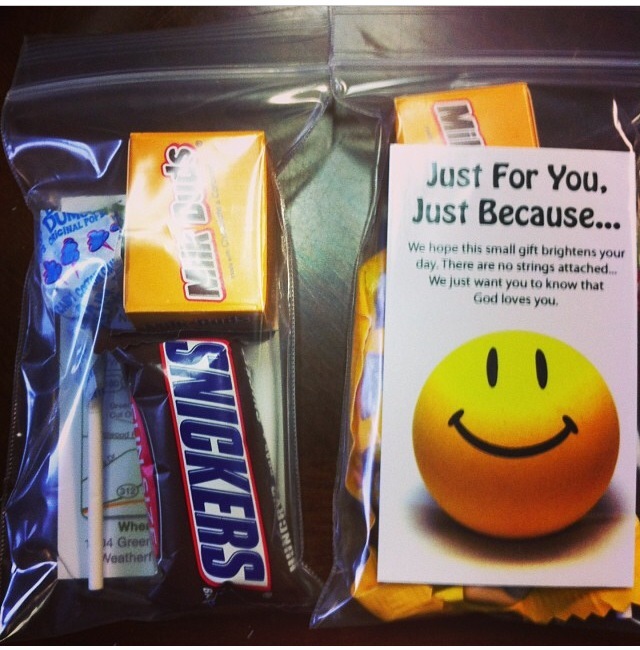 This outreach is a refreshing twist to trick or treating and is a great way for parents to teach kids about giving rather than receiving. There is nothing worse than having to work on Halloween night because you miss out on all the free candy!!! 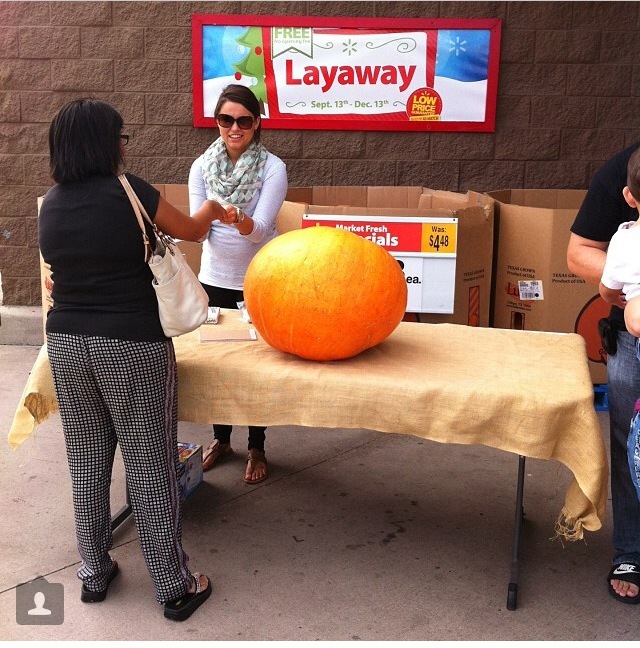 This simple adaption of our reverse trick or treat is a simple and effective way to serve employees of businesses working on halloween night. For this outreach all you need to do is pack some small bags of various candy, insert an outreach card, and go to an area of the city where businesses are still open. We coach our teams to enter businesses and say something like “Hey guys we know it stinks to work on Halloween night, so we wanted to bring you some free candy to show you God’s love in a practical way.” Sometimes if the business is busy we will just go to one person, ask them to get a count of employees and leave that many free bags of candy with them. 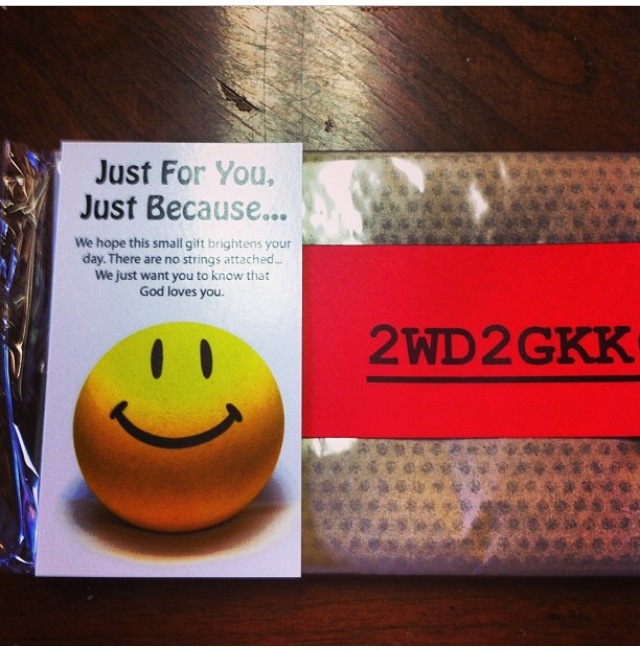 Our teams have been able to give out around a 1000 of these free candy packs very quickly. In the buzz and excitement of getting kids out the door and trick or treating, many families forget to eat dinner. This is where we come in. 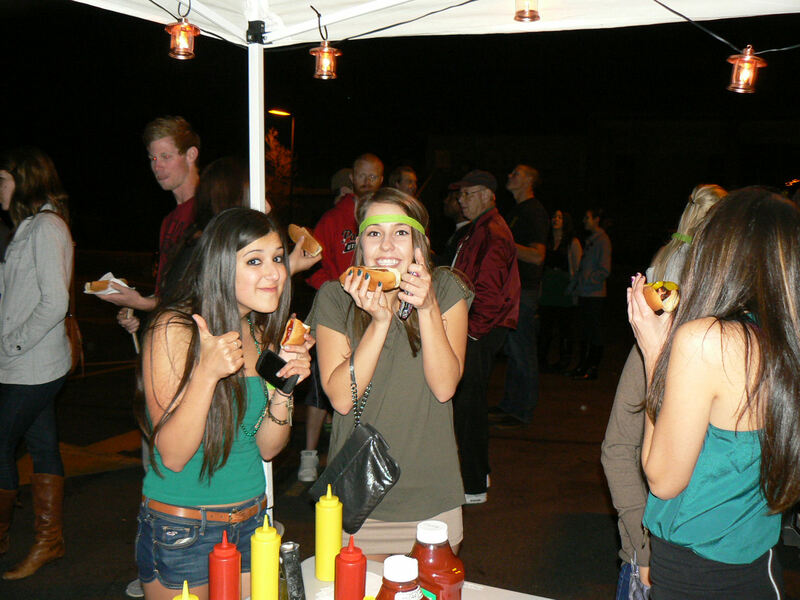 Find someone at your church who lives in a highly trafficked trick or treated neighborhood and send a team to their home with a grill, a couple tables, a few Free hot dog signs, drinks, and a bunch of hot dogs and condiments. 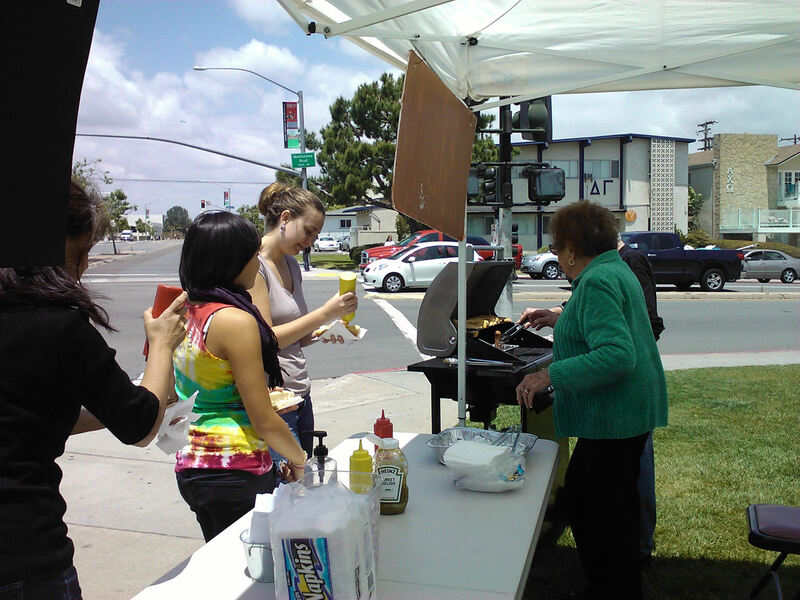 As families pass by just simply tell them you are cooking free high quality hot dogs (we get the pure beef Hebrew Nationals) and everyone is welcome to them. 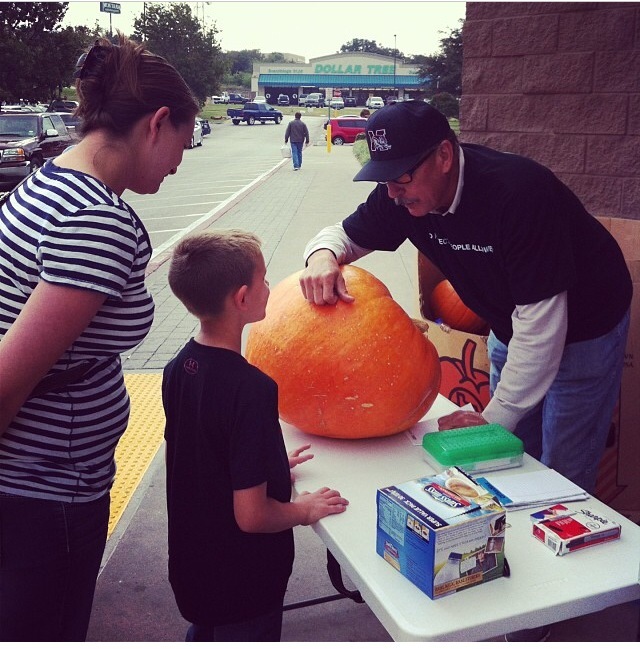 This outreach is as simple as going and buying a huge pumpkin, setting it on a table, with a sign that says, Guess The Weight Of The Pumpkin. When kids come up to the table, we give them 3 guesses, tell them higher or lower each time, and if they are within 5 pounds they receive a prize (its a good idea to let every kid win in the end). in the past we gave out free gift cards to everyone that one which can be pretty expensive so just pick a prize that works for both your church and those that you are trying to reach. This outreach is designed to reach families with kids. Strangely enough, one church that did this now has a family that is in their 60’s without kids that is now connected with the church because of this outreach. They saw what the outreach team was doing, were touched by it, and came to be a part of the church family because of the kindness they were showing others. God’s kindness is contagious and while we serve others it permeates even those standing by and observing. 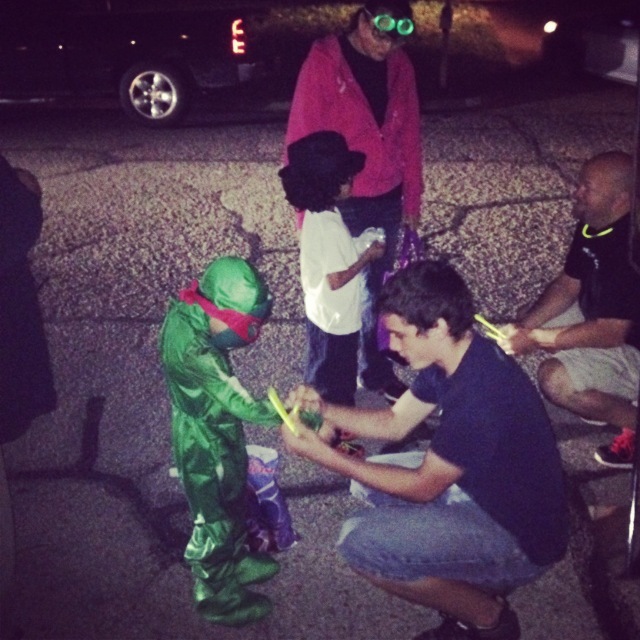 As we reach out on halloween night remember to keep things simple, fun, and creative. Whether you try one of these outreaches or all five, God’s kindness will move through you to reach those you are serving.